under the same management from the begnning. 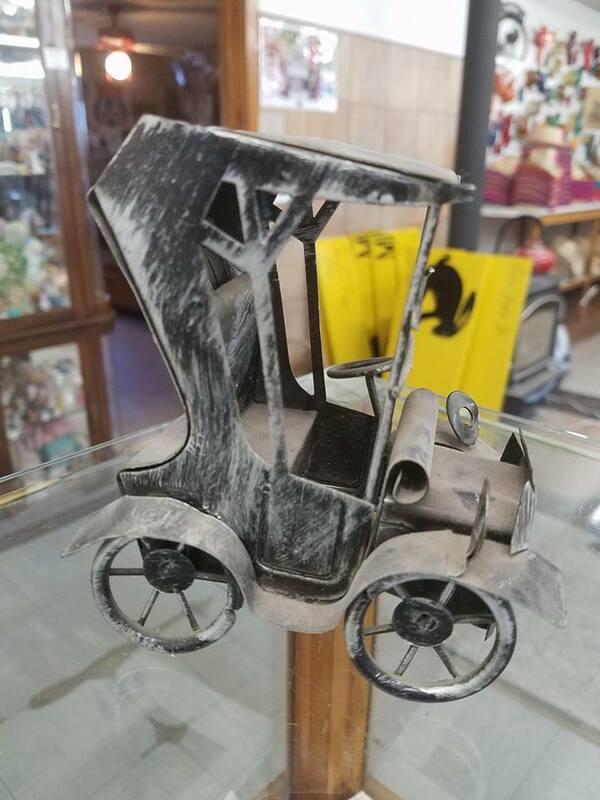 We have great keepsakes, and novelties. I felt honored when this was presented to us. We dedicate this to all the businesses on this route who work hard to make a living & enjoyable experience for everyone who travels It! ❤​To edit, click on the text to start adding your own words. 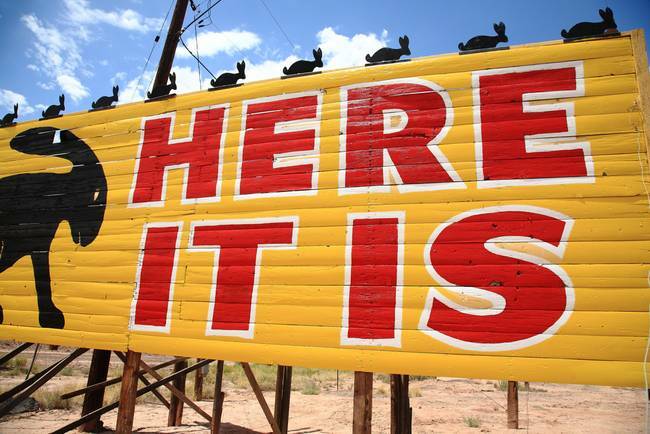 We are excited to share some details about the famous "HERE IT IS SIGN". This sign has been here for 69 years. This historic sign have the original boards that were put there in 1949. We have repainted it many times since the beginning. The most work has been on the underneath to reinforce those original boards so they wouldn't have to be replaced. We take pride in this history to ensure this old sign will be here for many years to come. 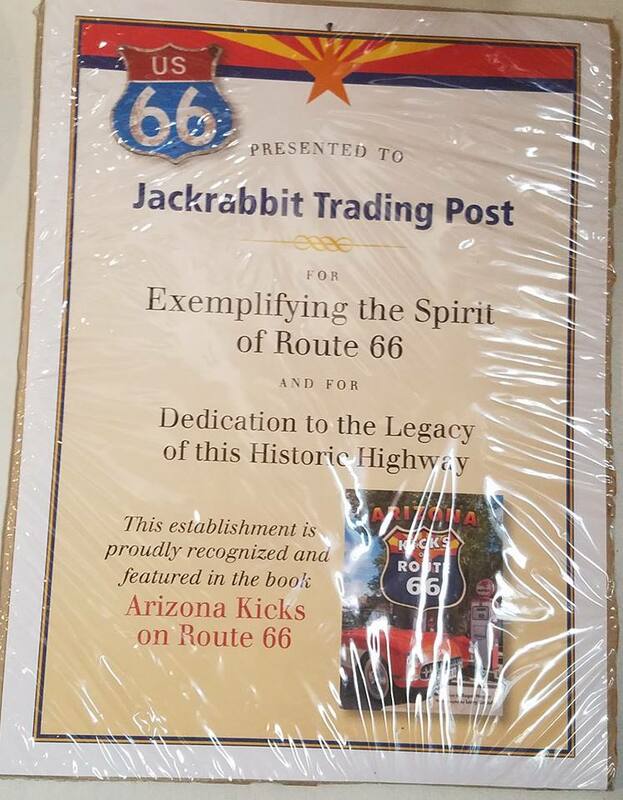 We are so happy to be part of this old route & the history of it. Thanks to all who support us. Many years ago we found this little car in storage. Funny thing is it was a day or two after Michael Wallis & the Pixar group stopped by on their trip thru to show us the drawings & plans for the "Cars" movie. This car is just like the one on the movie sign. Crazy!